On March 11 Japan suffered a massive 9.0-magnitude earthquake which happen very near to the northeastern coast of Japan, creating a large, destructive tsunami waves which hit Japan just minutes after the earthquake. Many locals are unable to react in time to this. The earthquake and tsunami which happen almost the same time caused extensive and severe damage in Northeastern Japan, leaving thousands of people confirmed dead, injured or missing, and millions more affected by lack of electricity, water and transportation. Beside the earthquake and tsunami disaster, Japan is now facing a nuclear crisis which is considered to be very serious by many of the nuclear experts from around the world. Probably a rating of 7/7 severity. Google is also reacting to this by setting up this page to help in collecting donation for various charitable organization. President Barak Obama said it right! 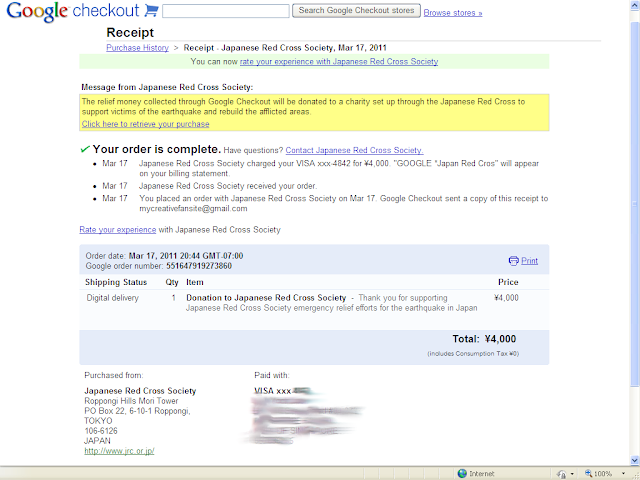 myCreative Fansite has donated US$50 or equivalent of ¥4,000 to the Japanese Red Cross Society. And we urge you to do so to help in the rescue and rebuilding efforts in Japan. 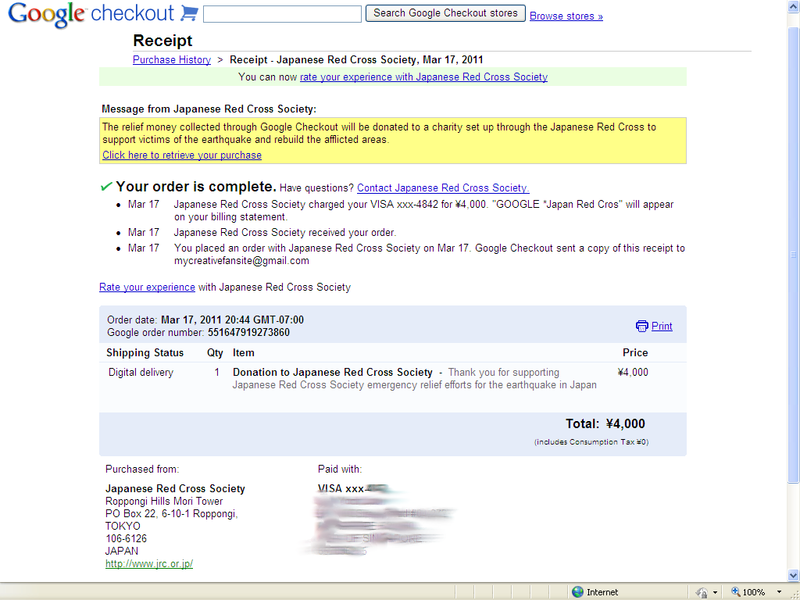 Kindly donate generously to the Japanese Red Cross Society. just ѕay Ι'm not certain about it.